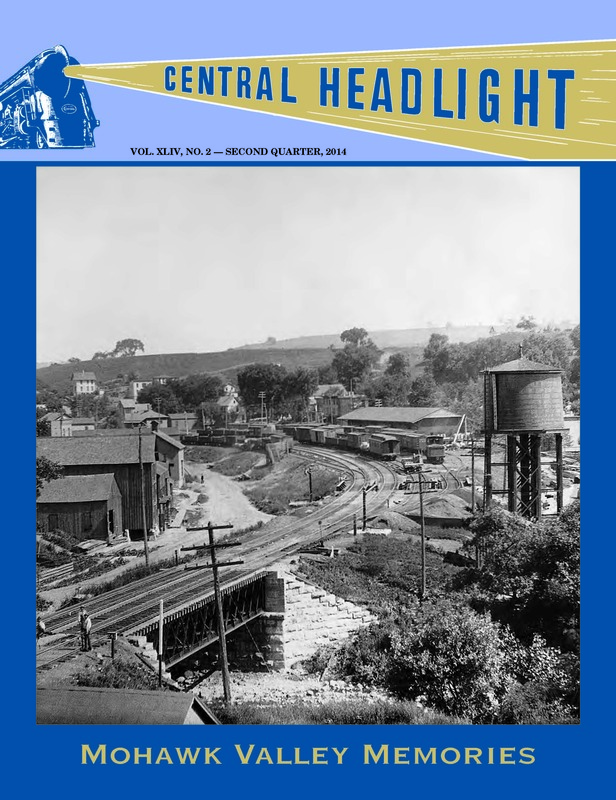 The 2nd Quarter 2014 issue of Central Headlight will be mailed to all Society members today. A PDF of this issue will also be emailed on that date to all 2014 members who have requested and paid for this service. Readers who have been asking for more information about the West Shore Railroad will enjoy Earl Higgins’ lead article about the village of Sprakers, New York and the NYWS&B’s presence in the Mohawk Valley, and an article penned by the late James R. Stuart tells of some of the problems encountered when Central’s Flexi-Van Program was inaugurated. Students of NYC’s motive power, both steam and diesel, will appreciate Tom Gerbracht’s illustrated review of Chief Mechanical Officer William D. Edson’s 1951-1952 speed timings of passenger trains on the Toledo Division, while Part 2 of Ron Helmeci’s in-depth article “From Stilts to Steel” recounts the construction of the exact same portion of the railroad one hundred years earlier. If you are not yet a member of the NYCSHS, click on the Membership tab above and sign on today to receive this fascinating issue as well the other three 2014 issues of our highly acclaimed quarterly magazine. You’ll be glad you did!